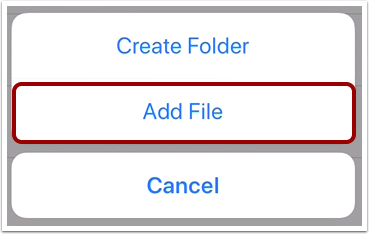 How do I manage my User Files in the Student app on my iOS device? 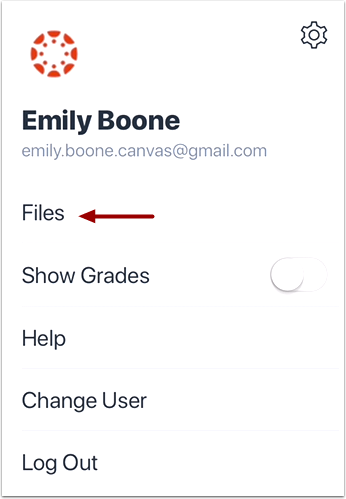 You can manage all the personal files in your Canvas account in the Canvas Student app. If necessary, you can manage My Files to clear up space within your course account. This lesson shows how to edit or delete a file. The steps to edit or delete a file folder are the same. 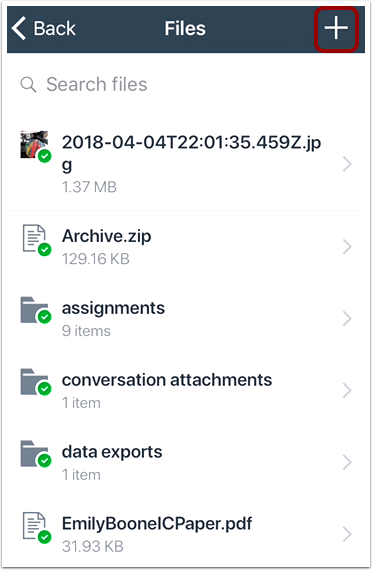 The Unfiled Folder stores documents, graphics, and any other files from your account that you have posted to different areas of Canvas, such as Discussions. Deleting these items within current courses may create broken links and submissions. You cannot delete files that have been submitted as an assignment. 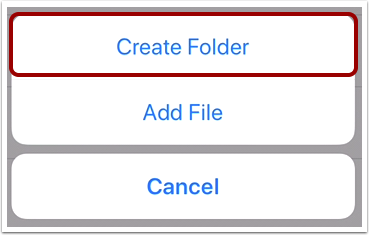 You cannot move files from one folder to another in the Canvas Student app. Note: The Add icon appears in every files window so you can build hierarchal levels of folders and files. 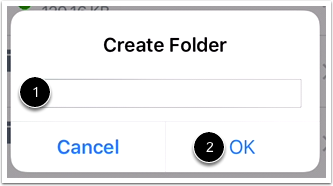 To create a new folder, type the name of the folder in the text field . Tap the OK button . To upload a file, tap the Add File button. 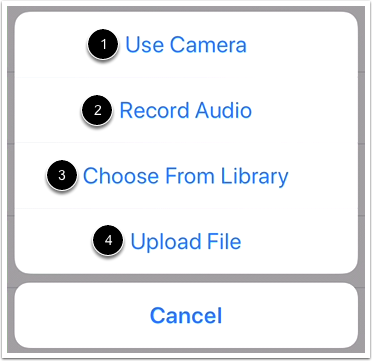 When uploading a file, you can take a photo from your camera , record audio , select a photo from your device library , or upload a file from your device . 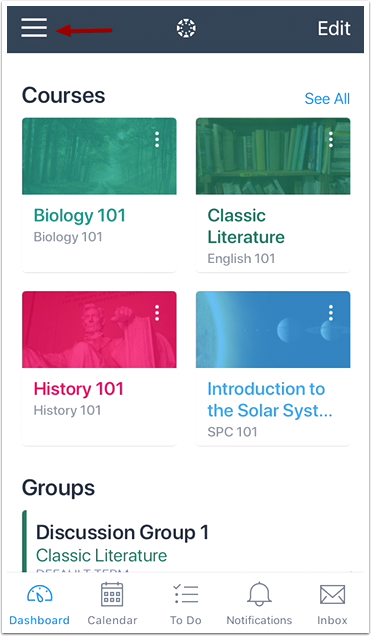 Previous Topic:How do I view my User Files in the Student app on my iOS device? Next Topic:How do I add a Canvas widget to my iOS device? Table of Contents > App Features > How do I manage my User Files in the Student app on my iOS device?